This guide explains how to set up mod_geoip with lighttpd on a Fedora 9 system. 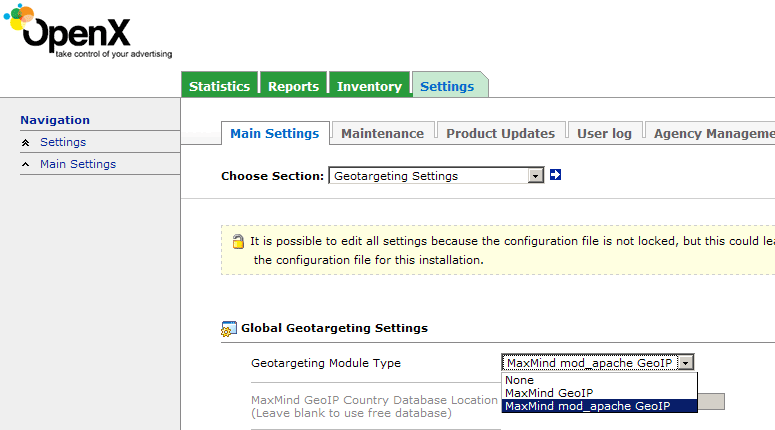 mod_geoip looks up the IP address of the client end user. This allows you to redirect or block users based on their country. You can also use this technology for your OpenX (formerly known as OpenAds or phpAdsNew) ad server to allow geo targeting. I'm assuming that you have a running Fedora 9 system with a working lighttpd and PHP. Nice to see tutorials about mod_geoip as it can really have performance benefits over the non-module database. Also users of OpenX find great performance benefits with lighttpd so it useful to have a guide specific to this. Please note one bug fixed in OpenX 2.4.6+ involving mod_geoip and lighttpd due to the fact that the majority of the mod_geoip $_SERVER variable names are slightly different with mod_geoip in lighttpd compared to the apache version.